VINCENT Capes – globally competitive national champion powerlifter – has blitzed a fistful of regional, national and world class fields since taking up the sport barely 18 months ago. Now the 17-year-old Rathkeale College senior is eyeing competitive weightlifting as his next arena to conquer. Capes is competing this weekend in Auckland as a junior weightlifter, after representing New Zealand as a powerlifter at the Commonwealth Powerlifting Federation Championships in Canada in December last year, at the Oceania Powerlifting Federation champs, and alongside classmate and fellow sub-junior lifter Harrison Pollard at the International Powerlifting Federation RAW/Classic World Powerlifting Championships in Killeen, Texas, in June. Capes, who grew up on a Wairarapa farm, had initially trained in discus, hammer and javelin under John Quinn, a Masterton athletics coach for High Performance Sport NZ. He took a bronze in javelin at the North Island Secondary Schools Championships, Capes said, before a knee injury led him to Wai Weight Private Gym in Masterton for recovery training and a switch of pursuits. 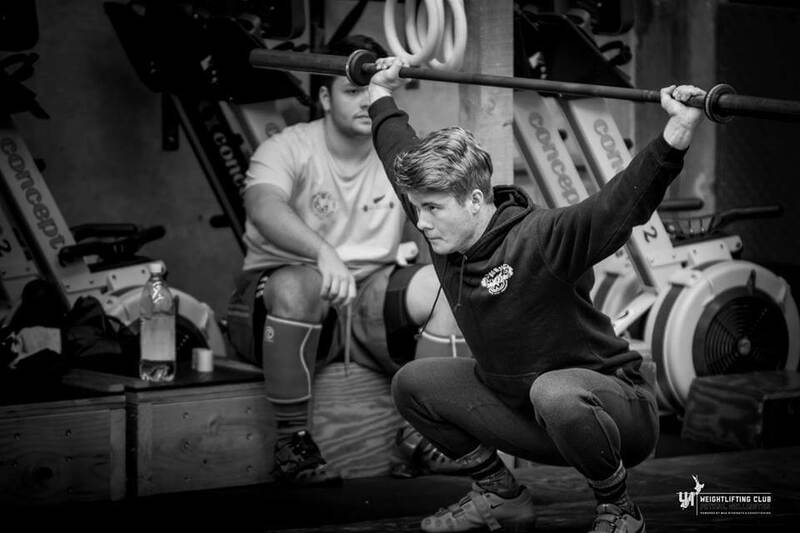 World champion powerlifter Brett Gibbs also trained at the Masterton gym and, during his recovery, Capes discovered he too was well able to compete at higher levels in the sport. Powerlifting comprises three events; the squat, deadlift and bench press. Competitors have three attempts at each lift with a minute to complete each attempt. The best three lifts in each event are combined for an overall total. Competition is divided into two categories: equipped lifting that allows a supportive bench shirt or squat and deadlift suit or briefs, and raw lifting that is performed without the specialised clothing. Capes told Farmers Weekly a vital difference for him between the associated sports meant powerlifting was “sheer strength”, while weightlifting was a game of complexity. During his first powerlifting competition at Wai Weight Gym at the start of last year he achieved a 400kg total, which qualified him to go to the IPF World Champs, the Oceania Champs, the Commonwealth Champs, and the national championships, in which he took gold in sub-junior class, with a 95kg lead on the second place-getter. Capes varies his training regime, he said, ordinarily lifting five times a week and training up to seven days a week ahead of competitions. Consistency in training and competition totals are vital for Capes, he said, as is nutrition during the lead-up to a contest. His sporting career has lifted his game on the family farm as well, he said. Capes and his sister Annabelle last year attended the National All Dairy Breeds Youth Camp held at Manfield Park in Feilding. While powerlifting is central to his sporting ambitions, he also remains focused on attending Lincoln University to study agriculture when he finishes school, and eventually taking over the family farm. Capes is today preparing for upcoming contests as both a powerlifter and weightlifter, and in the latter sport believes he could make the Commonwealth Games in South Africa in 2022, after adjusting his sights beyond the next games in Australia in 2018. His latest competitive outing was at the 2016 National Secondary School Weightlifting Championships, at which he snatched 83kg and clean and jerked 105kg, winning the Wellington division contest and taking national silver. He also qualified to compete as a junior weightlifter at the 2016 New Zealand Olympic Weightlifting Championships in Auckland from October 14 to 16, he said, and as a sub-junior powerlifter will next compete at the Oceania Powerlifting Championships in Christchurch in December.